Watch out for this spam email. It does not come from MKNews. This one was even to MKNews ! 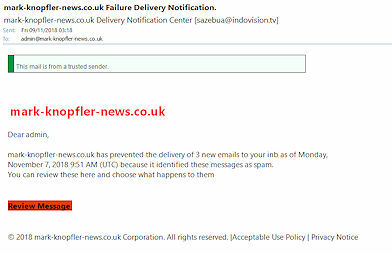 Do not click the link they provide as it may infect your device with malware or a virus.